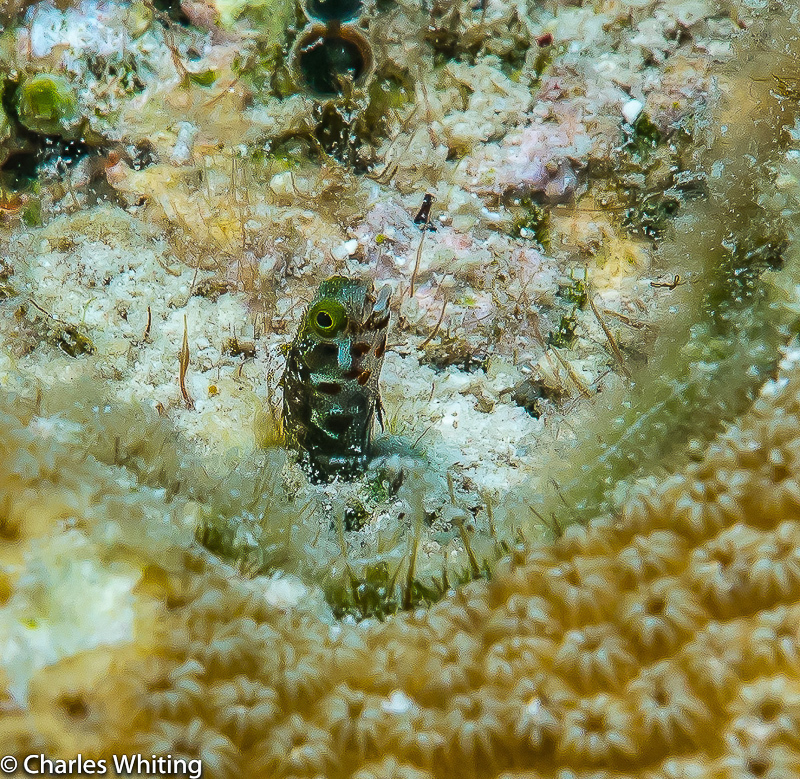 A Spinyhead Blenny peeks out from a coral head. Bonaire, Netherlands Antilles. Photo © copyright by Charles Whiting.